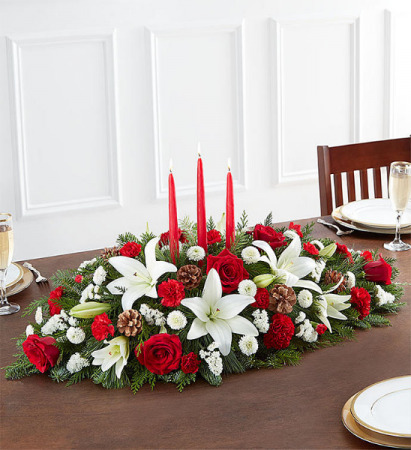 With its deep green leaves and bright red petals, the poinsettia has long been a symbol of the Christmas season. 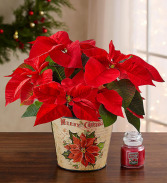 Our poinsettia plants are available in two sizes; both bloom beautifully from a coordinating tin planter featuring vintage-inspired poinsettia design with a heartwarming “Merry Christmas” greeting. 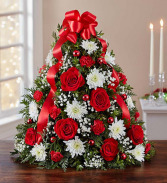 For even more cheer, pair our holiday plant with a Yankee Candle® of festive holiday fragrance. Candle not included.